Last Chance to Pre-order Botanical Knits 2! 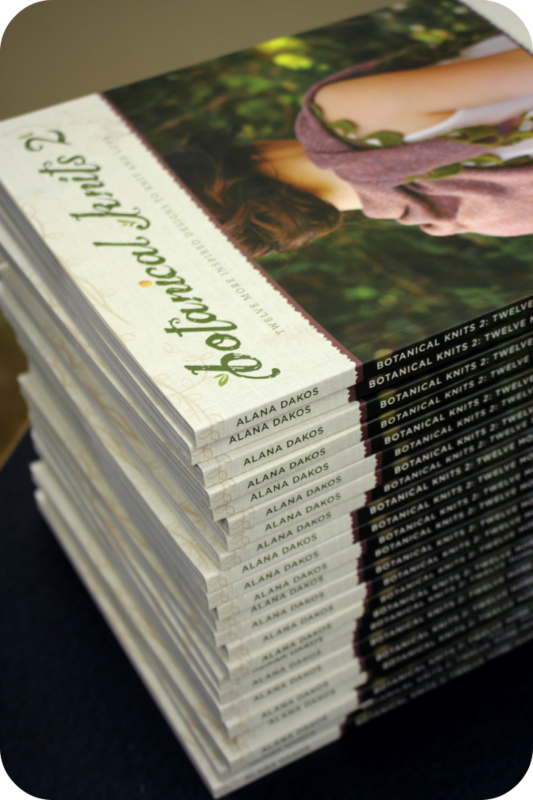 The Botanical Knits 2 books have arrived from the printery! Thank you so much to everyone who has already pre-ordered from our website. 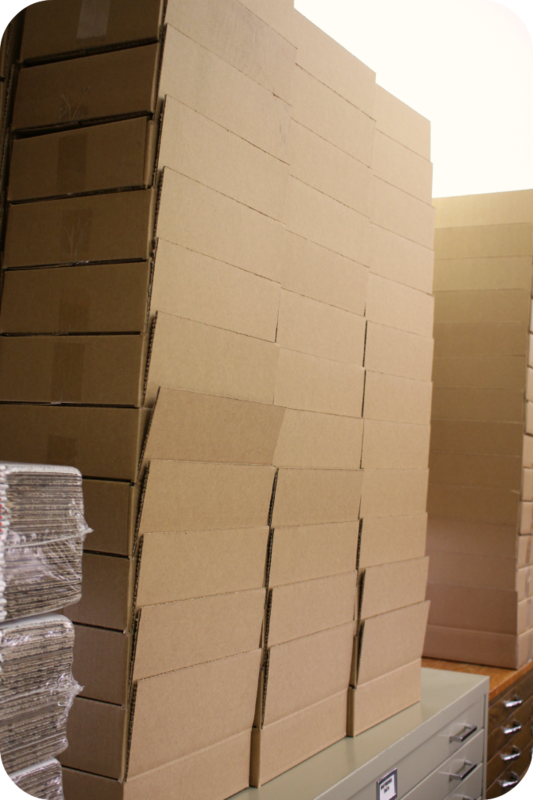 We are working hard to get all of the orders shipped out as soon as possible. We will be closing pre-orders on Friday, June 20th at the end of the day. You have until then to order and receive the complimentary e-book, bookmark and extra pattern! 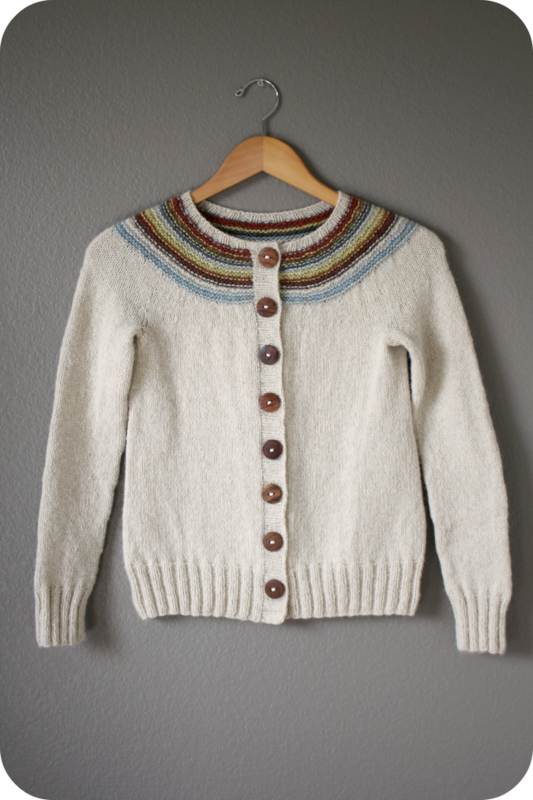 What seems like ages ago now I designed my first little sweater for children, Playful Stripes. Over the years, I have so enjoyed seeing other knitters make their own versions with all sorts of different color combinations for their little ones. It is definitely a fun knit. The stripes are so addicting! 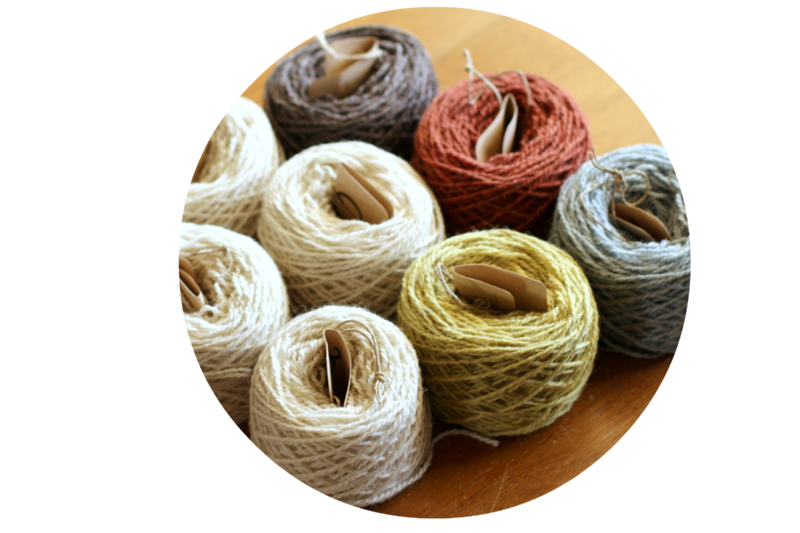 The yoke offers a perfect opportunity to not only play with color but to use up odd little scraps of yarn lying around. I have gotten so many requests for an adult version, so in 2011 I began working on one. Only... I was pregnant and up to my eyeballs in knitting for my first book, Coastal Knits... so with little time to focus on the design, the resulting sweater did not turn out as expected. In fact it was an epic fail. The proportions were terrible and the colors I chose were kind of... disgusting once put together. I was so discouraged by this that I didn't feel motivated to try again until now... A whole three years later. With much more experience under my belt, I feel more confident and am finally happy with the result! 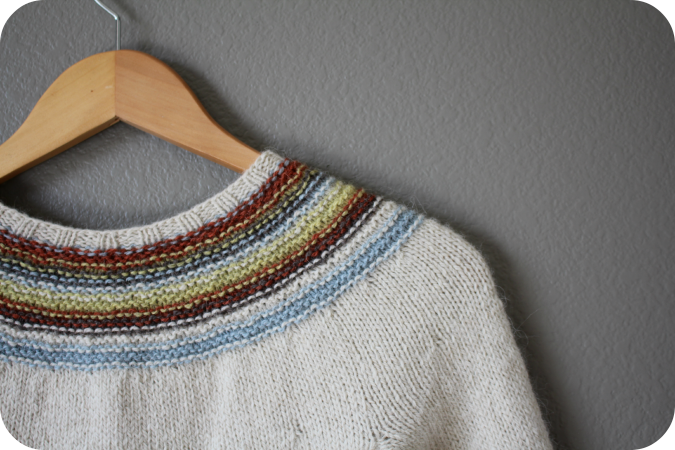 I would like to introduce the new improved Playful Stripes sweater for women in Quince and Co. Owl yarn.